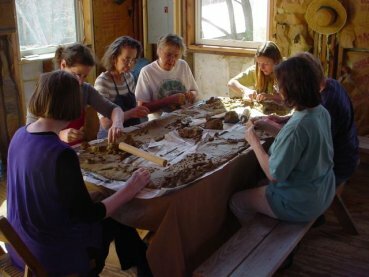 Still Mountain Center has sponsored workshops in clay, taylored to each group whether it be of professional artists or teachers, corporate staff, health professionals or groups of people from the general public. 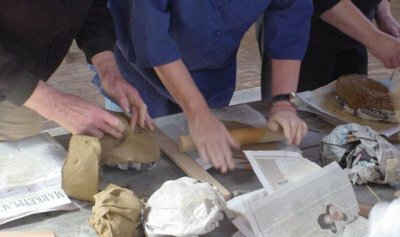 They feature demonstrations and hands-on experience with clay, often, at the ceramic studio of sculptor Joy Brown who lived and trained in Japan. 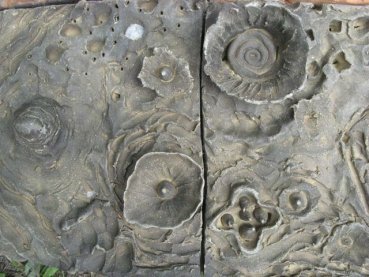 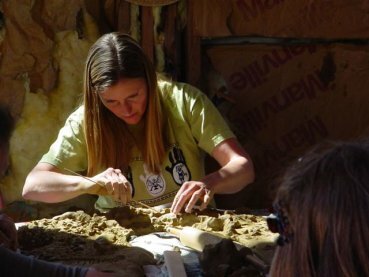 The workshops teach clay building technique as well as promote the exploration of one's own creative process and group collaboration. 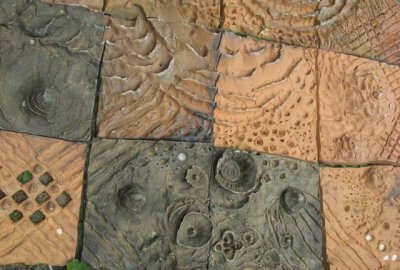 This nonverbal fun levels the playing field and provides new avenues for communication, team building, goal consensus and conflict resolution In the past, groups have chosen their own themes such as mask, drum, mural making or the "ancient feminine," animal spirits or landscape. 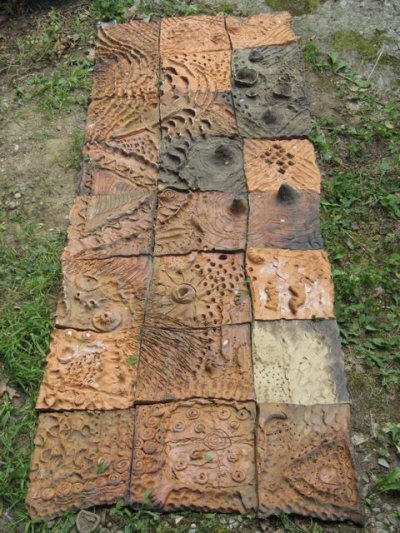 Above: Clay mural workshops: Health care professionals, and the collaborative mural that they made. 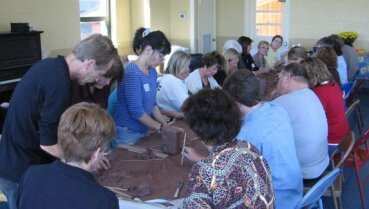 Clay mural workshop at Sedalia Art Center with the art teachers of Bedford County, VA.